Juice Stop in Omaha recently opened a new location and revamped its menu – calling for a new marketing piece to build credibility and bring new customers through its door. 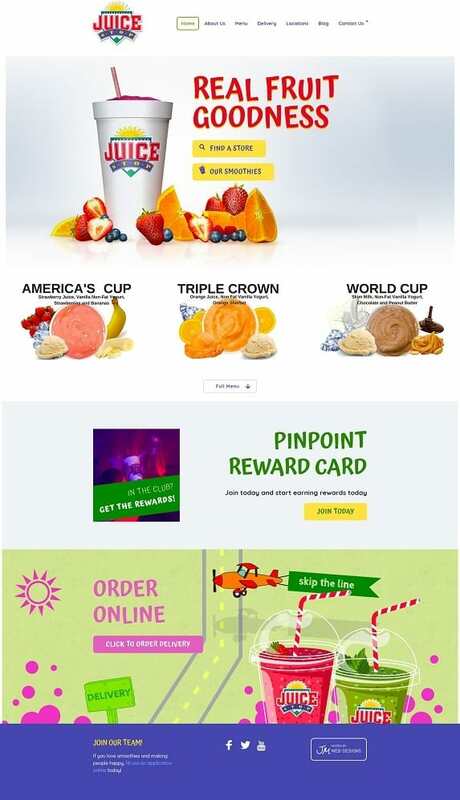 Juice Stops’s website is built with the intention of growing stores and a changing menu. Built on a WordPress Content Management System (CMS) this website provide the Juice Stop team the ability to easily update website content, images, menu items and add locations to an interactive map. WordPress also provides our Omaha SEO team ease in updating website page titles, H1 tags and META descriptions for increase SEO value.